For many women it’s the stuff of nightmares, and will not possibly feature in their home, even if it’s consigned to the garage or a basement. For many men, it’s the perfect place to retreat after a long day at work, or to take friends when they visit their home. 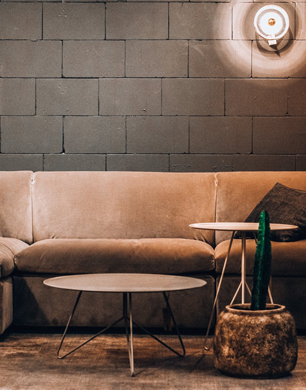 It is, of course, the ‘man den,’ and if you’re on the lookout for a classy yet decidedly masculine set of features to bring into a room in your home, this is the guide for you. It might sound a little stereotypical, but it can be assumed that there will be a healthy amount of drinking going on in your planned man den. As such, a wooden floor would be preferable, with some affordable but attractive rugs placed at intervals along the floor’s surface. As for the walls, plenty of man dens go for a darker aesthetic, as in matching a kind of masculine brute of a cave, or else you may decide, depending on your level of sports fandom, to go the whole hog and paper your walls with a football team’s strip or colours. Perhaps depending on how many fellas you feel are likely to spend time with you in your man den, it might be preferable to bring in the light, classy and simple seating akin to pub furniture to your room. This sort of furniture will also suit a room that’s secretly a man den but is masquerading as a kind of living room or games room to the rest of the family. If you’re creating a secretive man den, it’s best not to erect a bar in the corner. If it’s all above board, then go ahead! Again, it would be wrong to presume what men might do in a man den. But it’s almost certain that a television, a games console, and some good speakers ought to be present. That much, in terms of entertainment system provision, would seem the bare minimum. Happily, these additional features are just as useful for a lone wolf in his den than a man who regularly hosts sports evenings at their home, or movie nights, games extravaganzas, or evenings brooding over the latest Arctic Monkeys album. Adjustable lighting would also seem to complement these requirements. If you’re struggling to get the man den cleared by the rest of your family, then you’re going to have to make some compromises. It might involve the ability to convert a regular-looking living room into something more akin to a man cave. If you do plan on having plenty of people over for drinks and boisterous fun, then some sheets to cover the sofas and perhaps something to cover expensive carpet would be a bare minimum to secure clearance from the other powers that be in your household. This guide to creating your ideal man cave will help any liberated gentleman in creating their very own den of delights, within their regular home.